Stamford, Connecticut, U.S.A. - Bishop WEI Jingyi, the underground Roman Catholic Bishop of Qiqihar, Heilongjiang, was arrested on March 5, 2004 while he was paying at the toll booth on his way back from the Harbin airport. He was at the airport picking up two of his foreign friends. No other details are available. 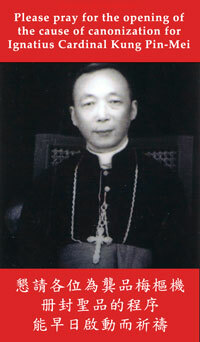 Bishop WEI was born in May 1958, ordained a priest on November 21, 1985, and consecrated a bishop on June 22, 1995. He was detained in a Chinese labor camp from 1987 – 1989, and from 1990 – 1992. He was last arrested on September 9, 2002. He was the secretary of the underground Roman Catholic Bishops Conference from 1993-1995. 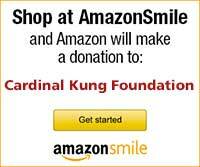 Joseph Kung, the president of the Cardinal Kung Foundation, said: "With the annual meeting of the United Nations Commission on Human Rights coming up in Geneva in March/April 2004, the world community should take note that the persecution of the underground Roman Catholic Church by the Chinese government is obviously still ongoing. Moreover, there are approximately a half-dozen underground Roman Catholic bishops and approximately twenty priests still in jail."